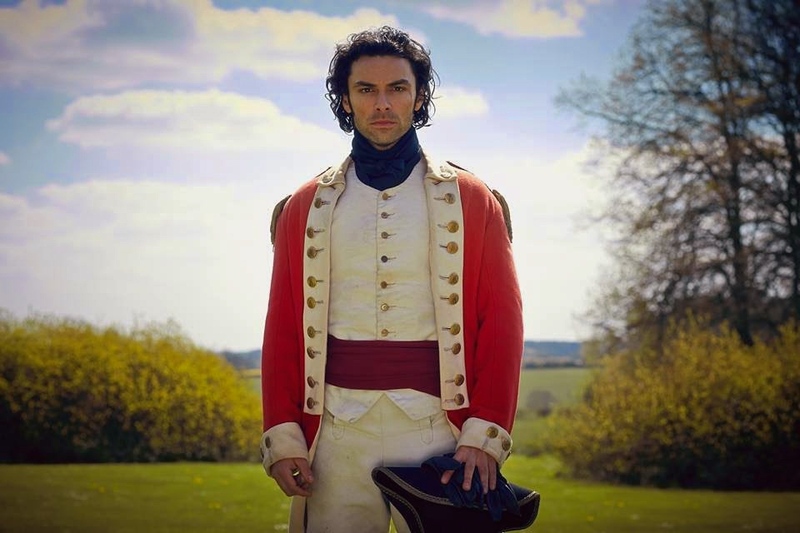 If, like me, you have been seduced by the BBC’s panoramic revival of Winston Graham’s Poldark saga, you will probably have developed certain urges. 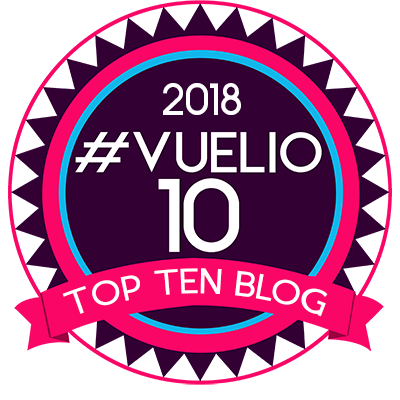 They might very well relate to the handsome, raven-haired Captain Ross, played by Aidan Turner, or his beautiful, impetuous wife Demelza, played by Eleanor Tomlinson. Despite the couple’s undoubted allure, my passions have been aroused by the dramatic Cornish landscape that’s been so dazzlingly portrayed in every episode. It’s scenery I know to be every inch as rugged and expansive as it appears on the screen, but in these days of CGI one could be forgiven for believing such wildness could only be generated by a boffin in a film studio. In truth the BBC have pieced together the Poldarks’ world – their fictional estates at Nampara and Trenwith; the copper mines of Wheal Leisure and Grambler; and the towns of Redruth and Truro – using numerous locations around Cornwall and the West Country. 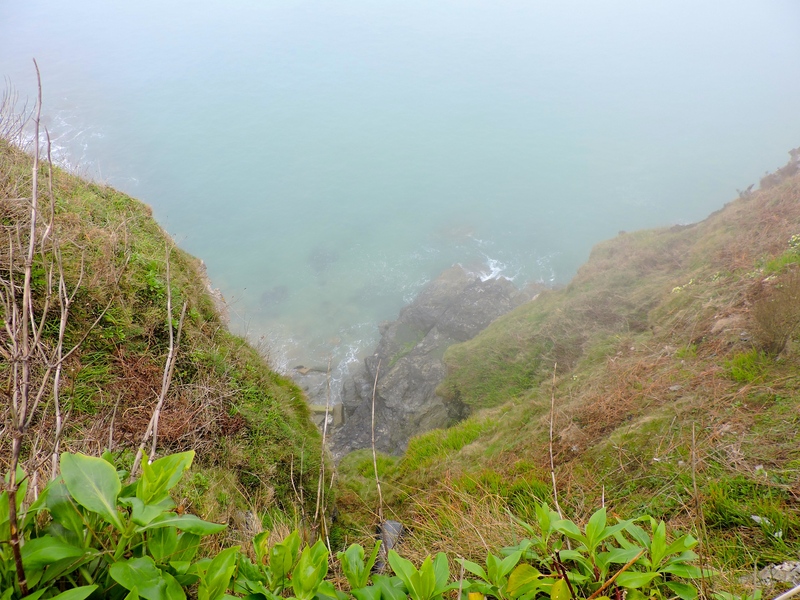 It’s smart work, only undone by the fact that getting anywhere in 18th century Cornwall seems to involve a path leading perilously close to the edge of a cliff. 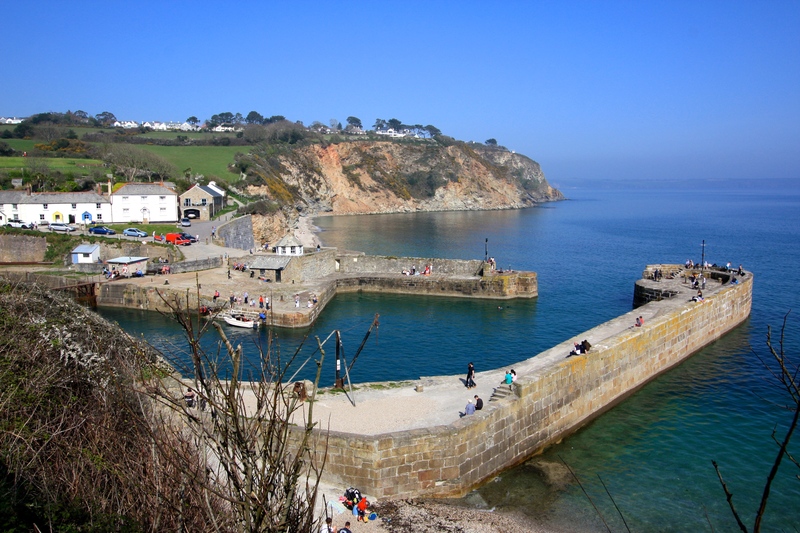 Last week in Cornwall we visited two of the locations – St Agnes Head and Charlestown Harbour near St Austell. St Agnes, the rambling village from where my mother’s family hails, was a straightforward choice for the Poldark location team. Pockmarked by the scars of both copper and tin mining, the wild terrain around the village is a tumult of jagged cliffs, dangerous coves and high, wind ruffled moorland. Standing at Tubby’s Head, looking past Wheal Coates to Chapel Porth, there is nothing to suggest that the 20th, let alone the 21st century has arrived in Cornwall. 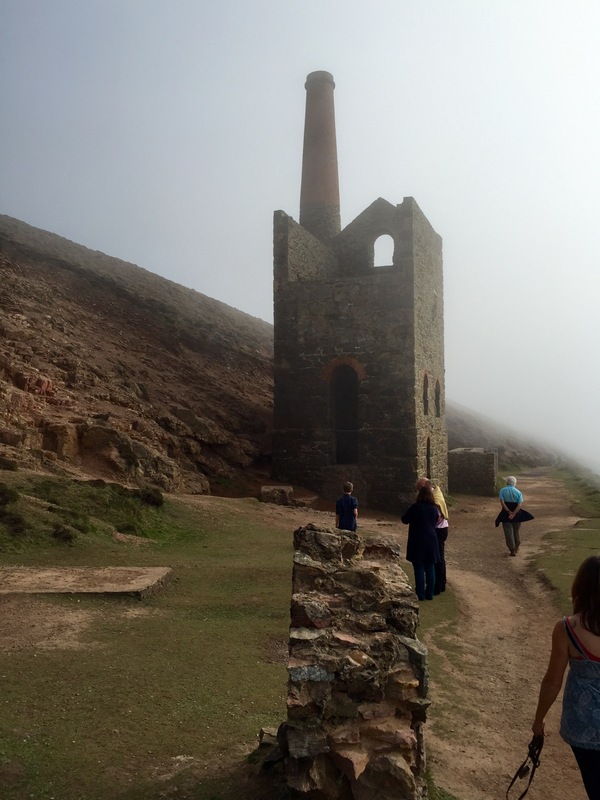 In the series it’s not the mine at Wheal Coates (best known for the Towanroath engine house, below) that features, but the crumpled heath that doubles as Ross Poldark’s Nampara Valley. The author of Poldark, Winston Graham, lived just up the coast at Perranporth for over 30 years and based his books on the local area. He would have known this view as well as I do. The use of Grade II listed Charlestown harbour as a substitute for Truro requires slightly more imagination. Charlestown, the port from which millions of tonnes of copper and china clay was once exported from Cornwall, is sited directly on the English Channel, whilst Truro harbour would have been many miles up a tidal river. Overlooking such detail, it’s a handsome spot, made all the more so on screen by the sight of Captain Poldark striding purposefully across the granite boulders in a swirling greatcoat. 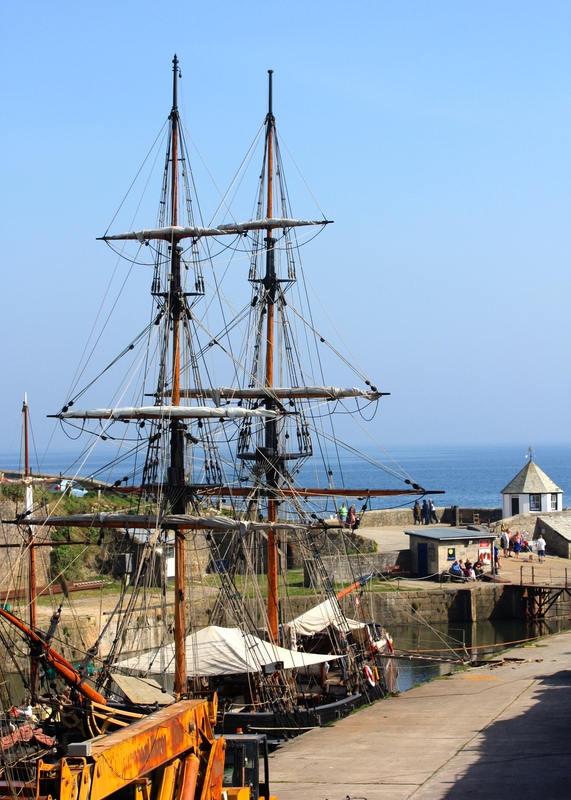 After years of decline Charlestown has almost been over-restored, but is wonderful to visit. On a hot day, children and adults plunge into the harbour’s turquoise waters, the incredible colour accentuated by millions of suspended mica quartz particles. The former harbour master’s lookout (white, mid ground) can be hired at an hourly rate or by the day for writing, tea parties or simply looking out to sea. Church Cove, Gunwalloe – provides the setting for some of Poldark’s most dramatic shipwreck scenes. 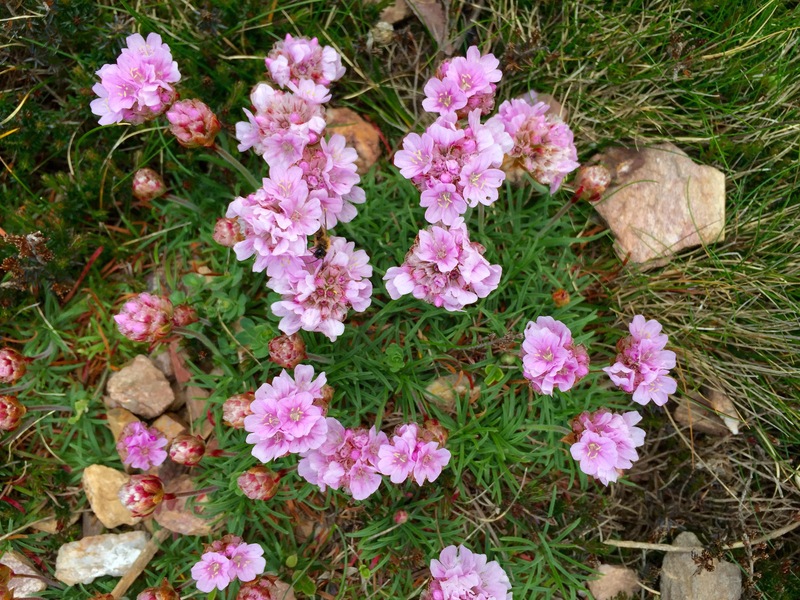 Porthgwarra – a peaceful former fishing cove surrounded by wildflowers and birdlife. Bodmin Moor – provides the setting for Ross Poldark’s home Nampara and myriad horseriding scenes. Botallack and Levant – Levant mine is a fine representation of the fictional Tressiders Rolling Mill. 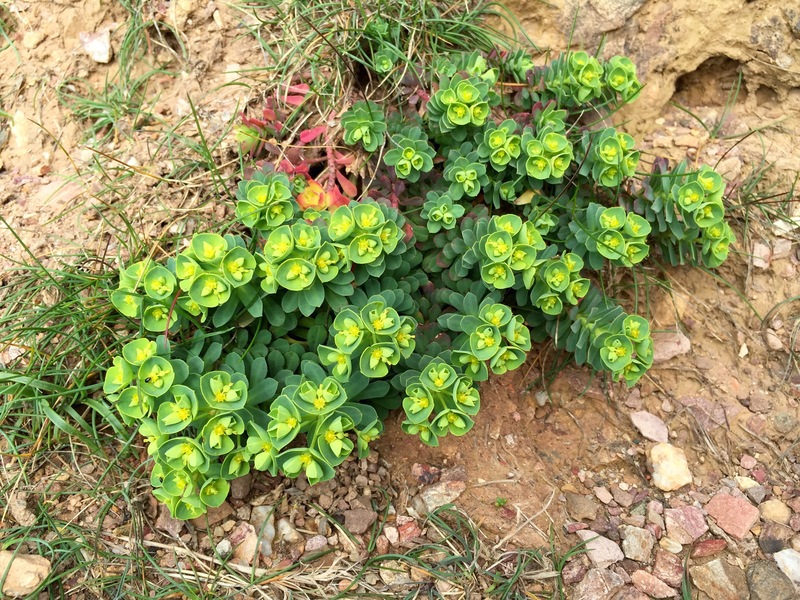 Owles and Crowns mine near Botallack stars as Ross Poldark’s Wheal Leisure. Padstow – The cast spend a lot of time galloping back and forth (somewhat unnecessarily) and the cliffs around Padstow provide the location. The wide sandy beach at Porthcothan doubles as Poldark’s fictional Nampara Cove. Corsham, Wiltshire – was used to film the scenes of 18th Century Truro. Chavenage House, Gloucestershire – this lovely old house was transformed into Trenwith, the home of troubled Francis and Elizabeth Poldark. The final episode of the first series airs on BBC1 next Sunday at 9pm. Quite uncanny. Yours is the second post I’ve come across today featuring Charlestown, the first being Purple Podded Peas. As indeed do I in my current post. It seems we’ve all been there in the same week! And what a lovely place it is too. p.s. Scything will never be the same again..
We could all have had a liaison on the pier, or hired the look out for tea! We chose the right week to go didn’t we? It is always interesting to see familiar locations used as film/TV locations and one knows of course that the camera never lies, just the editors. Although great for tourism it can be a poison chalice for the local inhabitants; however, in this far flung post of the empire we cherish our visitors even when they park in the passing places on our single track roads.